I'm hurting today...and not just cause of my picks yesterday! I'm bouncing back with the most dominate D in the country! 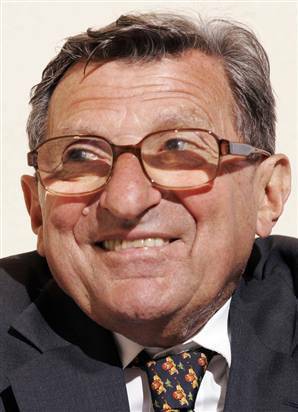 And I also believe USC Pete is acting nice for the camera, but will luv nothing more than beating Great Grandpa JoePa like a red-headed step-child! ...but I'm taking these cool kids...HAPPY NEW YEAR! This page contains a single article from January 1, 2009 10:49 AM. The previous days article was Have a Great New Year's Eve Homeboys!. The next days article was The Robin Hood of the ATS Sports World.